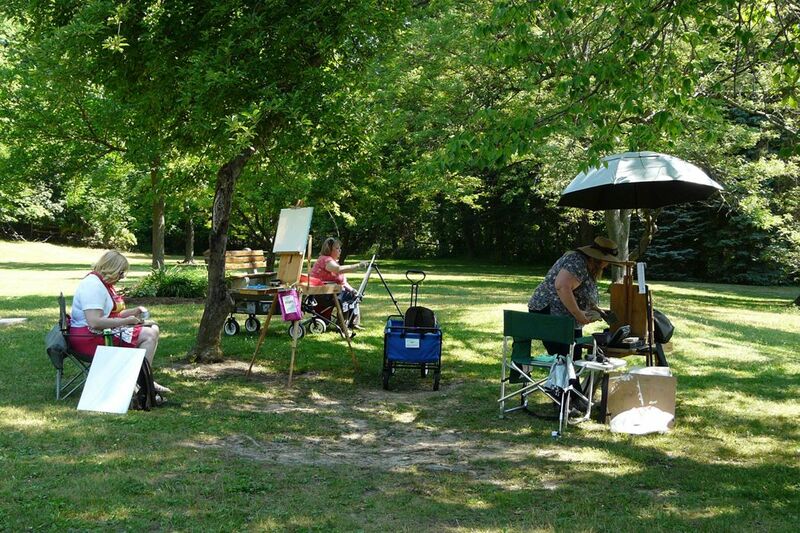 The Clarence Arts & Crafts Society (CACS) second annual Plein Air Art Festival now expanded to a CLARENCE SUMMER ART & PLEIN AIR FESTIVAL will take place Sunday, July 9, 2017, 10:00am to 5:00pm at the Clarence Town Park, 10405 Main Street, Clarence NY. This expanded event is new and unique for the Clarence Arts and Crafts Society, as well as an excellent exposure for the Town of Clarence to the arts. This year the CACS, in collaboration with the Clarence Concert Association, will be showcasing “A Day of Art in the Park”. CACS will hold the Clarence Summer Art & Plein Air Festival from 10:00am to 5:00pm and at 7:00pm the Clarence Concert Association will hold its first concert to their Summer Season Program. The Clarence Arts and Crafts Society is an established Society for over 40 years, as is the Clarence Concert Association for the past 58 years. 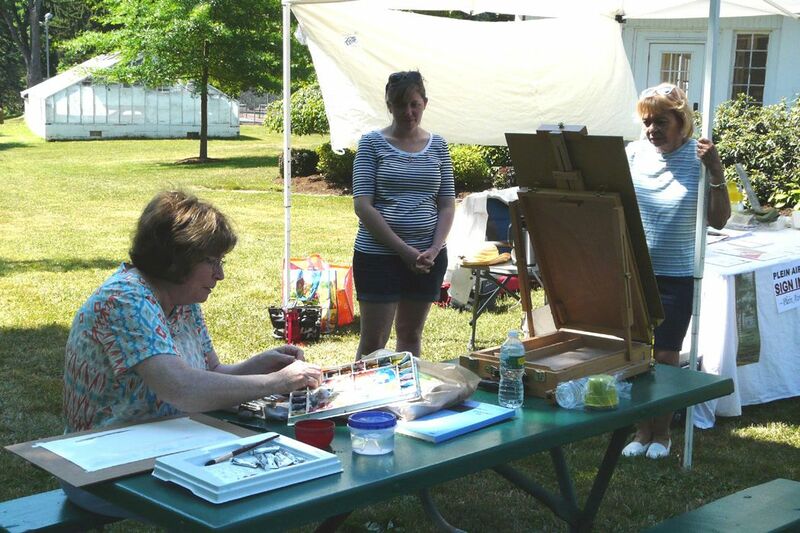 The Festival will showcase PLEIN AIR ARTISTS,ARTISAN VENDORS, DEMONSTRATIONS, FOOD TRUCKS and HISTORIC TOURS of the Town Park Club House and the Town’s Historical Museum. 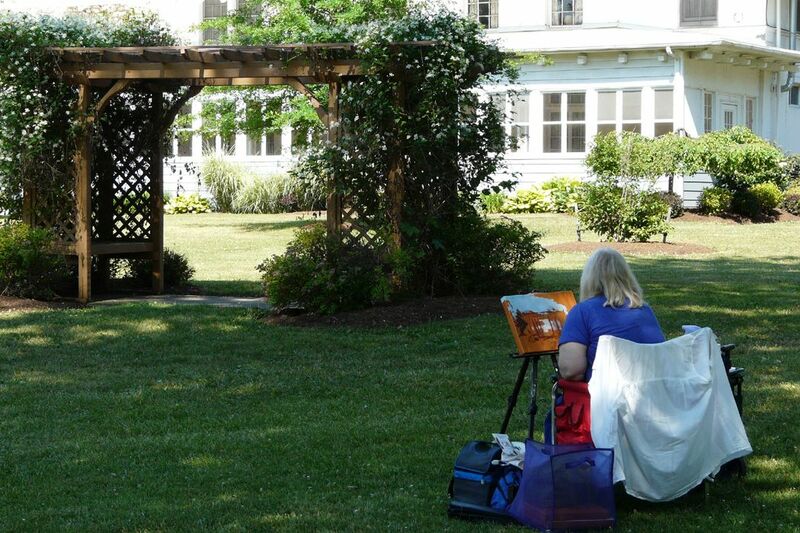 PLEIN AIR ARTISTS (painting/sketching with the quality of light and atmosphere out of doors) will have the opportunity to compete for prize money. Returning as the Honorary Plein Air Judge, will be Dan Meyer. Mr. Meyer with over 40 years of art experience, who instructs at a local art store and at the Clarence Senior Center, has been interpreting his encounters with the avian wildlife of North America through the use of transparent watercolor. Eric Woods, Buffalo History Buff, Vintage Advertisement Reproductions | Jaime Brawdy, Canvas Salon & Studio | Marti Gorman, Buffalo Heritage Press | Damon Robertson, Dragonfly Jams & Jellies | Cheryl Hufnagel, fabric textiles | Paula D’Amico, Blessings by Nature. FOOD TRUCK VENDORS featuring: Gourm-Asian Bistro | Green Acres Ice Cream | R&R BBQ. HISTORIC TOURS will run from 1:00 to 4:00pm.